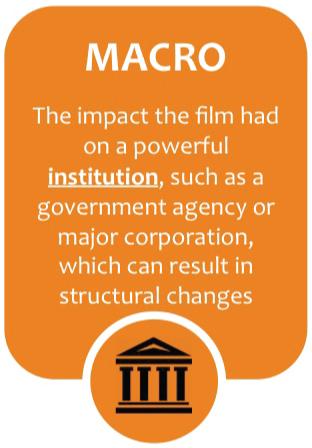 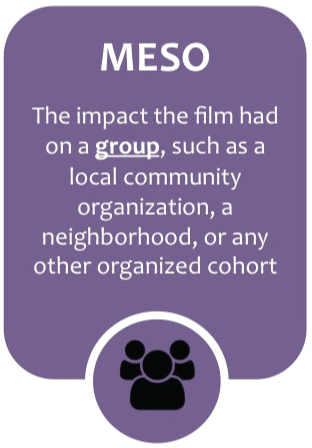 • Awareness: Exposure to the film led to increased awareness of an issue and possibly increased knowledge about it. 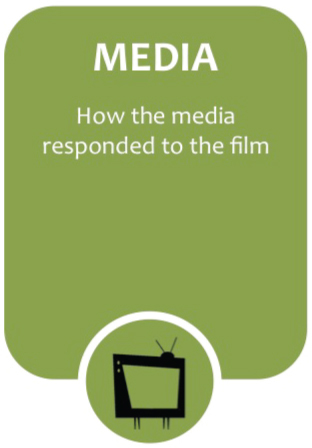 • Attitude: Exposure to the film led to a shift in attitude about the issue. 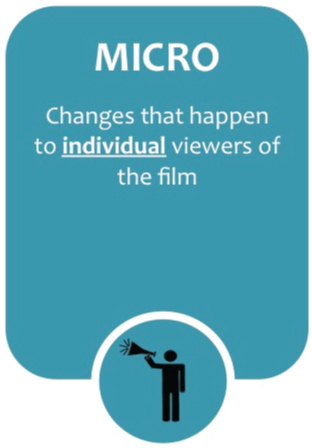 • Behavior: Exposure to the film led to a change in behavior. 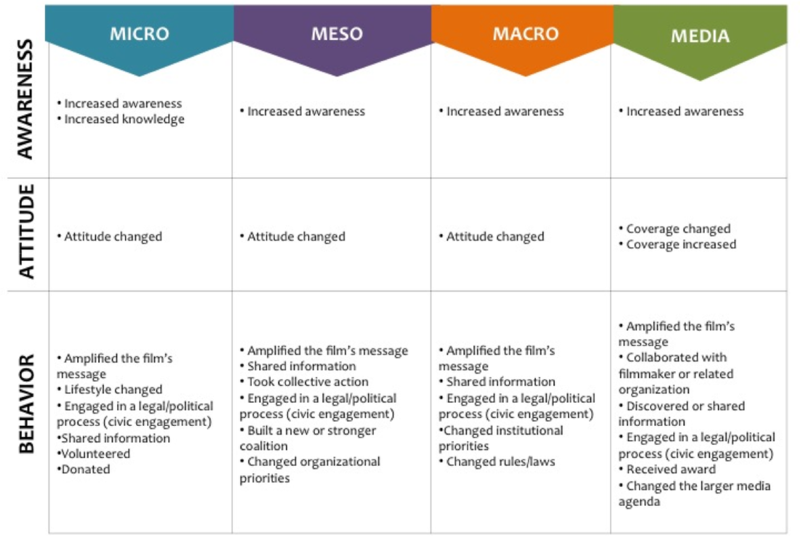 Additionally, there are several subtypes of offline impact that are specific to each category and involve changes in awareness, attitudes and behaviors.